A few days ago Wendy Hajicek commented on an earlier post, mentioning her memories of Perkins Hill. Wendy asked if Perkins Hill was named for Frances Perkins the Secretary of Labor in the Cabinet of Franklin Delano Roosevelt. I had written in a historical profile of Perkins Hill for the Minneapolis park board’s website that the park was named for the Perkins Hill Addition, a property development. Park board proceedings from that era do not indicate that the name was ever formally approved. It is one of those “so-called” properties. I had never heard before the possibility that the park had been named for Frances Perkins, so I quickly looked up the time frame of the acquisition to see if it would have been possible. 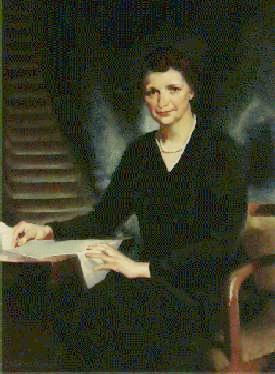 The park was acquired in 1948 and Frances Perkins had served in Roosevelt’s cabinet from 1933 to 1945. The time period fit perfectly. So then I went back to the plat maps from 1914, 1903 and 1892 that I consult so often from the Minnesota Digital Library and the Borchert Map Library at the U of M. I wanted to see how the property was named at those times. The name Perkins Hill Addition is on the 1903 plat map and the 1892 plat map notes that four adjoining parcels of land are owned by people with the Perkins surname. So it appears that the name is based in Minneapolis, not Washington, D.C.
Frances Perkins, Secretary of Labor, 1933-1945. I haven’t looked up the Perkins family that owned, then subdivided, the north Minneapolis property in the late 19th century. Perhaps they were leading citizens of the community and I wouldn’t want to diminish their part in the early history of Minneapolis, but part of me was hoping that the park could have been named for Frances Perkins, the first woman to serve on a presidential cabinet and, therefore, the first to take a place in the line of succession for the presidency. A brief online exploration of her life suggests that she was influential in formulating Roosevelt’s labor policies, Depression-era work relief programs, and the creation of social security. I’ll look for info on the Perkins family of north Minneapolis as well. If you know any of their story, let me know. And as I mentioned in my reply to Wendy’s comment, I hope more people stop by Perkins Hill Park for a picnic or a visit. The view of the city is splendid. Does anyone have a photo to share? I love these kind of stories. Thanks for the feedback, MaryLynn.